Activists are speaking out in opposition to the actions of the White House, today. Mental health activists are warning: "This new Executive Order is the biggest deterrent to getting help from counselors, therapists, doctors, and other healthcare professionals." 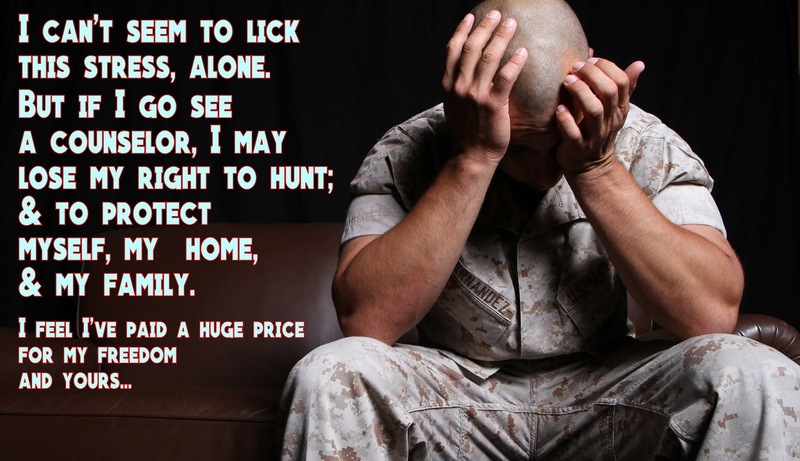 Veterans will lose their 2nd Amendment constitutional rights and not even know that they were "diagnosed". This will prevent couples from getting good marriage counseling. This will make people hesitant to see a new doctor, lest they be reported by "Gun Nazies" . This will result in more tragedies because hurting people risk losing self defense rights and face the rest of their lives as unarmed and they face prison time if they go hunting. "This new Executive Order is the biggest deterrent to getting help from counselors, therapists, doctors, and other healthcare professionals." Rush Limbaugh reports, today; that a similar policy is already in effect in California. That state law now allows family members to report "unstable" relatives to the state so that the cops can come by and pick up all firearms prior to even having one's "day in court" to rebut the claims. Limbaugh cites scenarios where liberal kids report their dad because he just joined the NRA or cut off the kid's allowance. Our blog has moved to SoonerPolitics.org. Please rest your bookmark to that page for the most up-to-date news and best features. We want you to be better informed and quickly notified when news happens. This page remains an archive of our library. Huckabee Seen With Clinton Voter Base. Book Review: It's Biblical, Not Political!